There’s nothing more enjoyable than being out on the water with good friends. But what if your favorite companion is a furry friend with four legs and a tail? Obviously, there are different safety precautions you must take with a pet as opposed to a person. 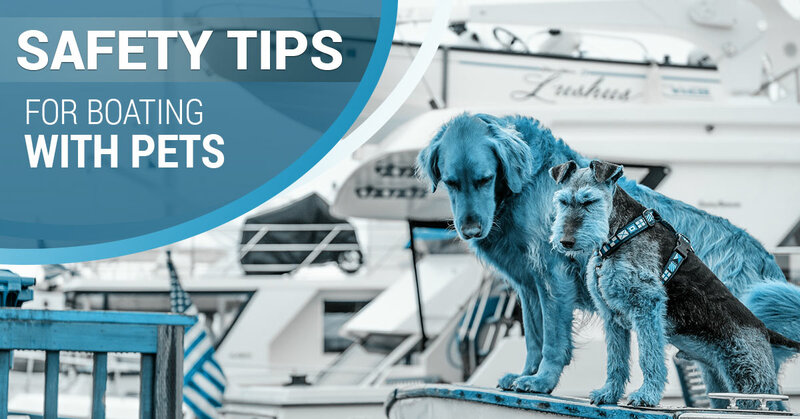 Keep reading for tips on how to make sure your pooch has just as much fun as you on the boat while also staying safe. Keep plenty of fresh drinking water available – Especially if you’re planning on spending most of the day on the boat, be sure Fido stays hydrated. Provide a shaded area – While you may be able to apply sunscreen and shade yourself with protective clothing, pets don’t have this luxury. So create a cool spot for them to relax in whenever they need a break from the sun. Excessive exposure to the sun can cause problems for animals. Consider dog life jackets – Keep in mind that not all dogs can swim and those that can aren’t exactly great swimmers. Plus, take into account the age and health of your dog. If they have low body fat or challenges with hips/joints, swimming will likely be a challenge for them. That’s where a dog life jacket comes into play. Designed to keep Fido afloat in a horizontal, swimming position, the jacket serves as a retrieval device should they fall overboard at any time. Fit, lifting handles, comfort, and color are all significant factors when choosing a dog life jacket. Walk your dog before boarding – This gives him a chance to relieve himself before getting on the boat with you. Keep your first outing short – It’s critical to let your dog get used to the movement of the boat before heading out on your adventure. Some may not mind it at all while others absolutely hate it. Protect their feet – Dogs absorb heat through the pads on their feet. With that in mind, boat surfaces can get very hot in the sun. That’s why quality boat flooring is so important for your four-legged friend. 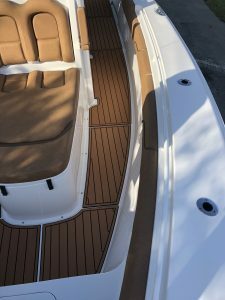 At Marine Decking, we provide a simple, practical alternative to the traditional non-skid surfaces for boats, personal watercrafts, airboats, kayaks, and more. We are a certified fabricator, installer, and supplier of marine decking. What does that mean for you? Well, have you been limited to time on the water because your boat’s flooring just isn’t safe anymore? Then imagine what your pooch must feel like. You can feel comfortable knowing that the EVA foam we use isn’t just comfortable and durable, but also offers maximum wet/dry traction. 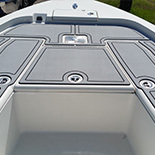 Plus, our boat floor covering also covers spider cracks and other surface imperfections. 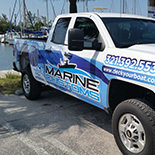 From marine flooring and boat covers to everything in between, we can provide a customized solution to fit your boating needs. 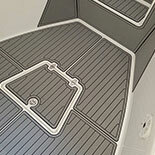 When you invest in Marine Decking, you’re also investing in the safety of your passengers. Call us today to get started with your project.